The Zika virus has been implicated as the cause of severe birth defects of the brain and nervous system in babies born in Brazil, El Salvador and more than 25 other countries, mostly in South and Central America. The Cord Blood Association (CBA) has issued interim guidelines for screening donors to protect the safety of cord blood products and recipients. The Zika virus is transmitted through the bite of an infected mosquito of the Aedes species. This is the same mosquito that spreads the dengue and chikungunya viruses. The most common symptoms of Zika virus disease are fever, rash, joint pain and conjunctivitis (red itchy eyes). The illness is usually mild with symptoms lasting from several days to a week. About 1 in 5 people infected with the Zika virus have noticeable symptoms. Viremia typically lasts for 10 days. For those who do get sick, the illness is usually mild. For this reason, many people might not realize they have been infected. Severe disease that requires hospitalization is uncommon, although cases of Guillain-Barré Syndrome have followed infection with the Zika virus. There is a PCR test for Zika virus, as well as a serologic test, that are both performed by the U.S. Centers for Disease Control and Prevention (CDC). The PCR is only positive during periods of viremia. There is no cure or vaccine that prevents Zika infection. The best prevention for any mosquito-spread disease is to avoid being bitten. Anyone who is living in or traveling to an area where the Zika virus is active is at risk, unless they have been previously infected and developed an immunity. This includes pregnant women. There have been reports of poor birth outcomes in babies of mothers who were infected with the Zika virus while pregnant. Of greatest concern is a birth defect of the brain called microcephaly, a condition in which a baby’s brain is incompletely developed and the head is smaller than expected. These babies will have severe neurological impairment over the course of their lives. The Zika virus has been found in the brains of babies born with microcephaly and other severe brain malformations. The virus has also been found in breast milk, but breast feeding is still recommended in mothers who have given birth to affected babies. The virus has also been found in saliva and urine, but transmittal through these body fluids has not been documented. Knowledge of the link between the Zika virus and birth defects is evolving. Until more is known, authorities such as the CDC and the World Health Organization (WHO) are recommending that women who are pregnant in any trimester should talk to their physician and consider postponing travel to any area where Zika virus transmission is active. If travel is necessary, steps to prevent mosquito bites should be strictly followed. 1. Have you traveled to South or Central America, Africa, Puerto Rico, the Virgin Islands or to Miami-Dade County in the USA during your pregnancy? If yes, what countries did you visit? The countries at risk where cases of Zika infection have been identified include: Barbados, Bolivia, Brazil, Colombia, Costa Rica, Curacao, Dominican Republic, Ecuador, El Salvador, French Guiana, Guadeloupe, Guatemala, Guyana, Haiti, Honduras, Martinique, Mexico, Nicaragua, Panama, Paraguay, Puerto Rico (U.S. territory), Saint Martin, Suriname, U.S. Virgin Islands and Venezuela. Active transmission has also been reported in the Pacific islands of Samoa and American Samoa, and in the Cape Verde island west of Africa. For current information about countries with active Zika virus transmission, visit the CDC website. 2. During your pregnancy, have you had any illness characterized by fever, rash, joint pain or red itchy eyes? If yes, when? How long did it last? Did you see a physician? Was a specific diagnosis made? Delivery and cord blood collection personnel should pay close attention to the newborn’s physical examination. If microcephaly or other brain or head deformity is noted in the examination, the cord blood should not be banked. 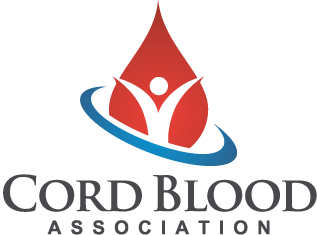 While all of the above recommendations are common practices by cord blood bankers, the CBA believes that highlighting features of this illness to staff, combined with links to updated and ongoing information, are valuable resources for all. These interim guidelines and the example questions for the maternal questionnaire are intentionally broad and conservative to reduce the margin for possible error. Individual cord blood banks are encouraged to create their own internal SOPs regarding screening for the Zika virus to protect cord blood products. As more is learned, the CBA may update or revise these interim guidelines.